Note from racketboy: Even though sports games are the first to end up in eternal bargain bins once they are more than a year old, they do still hold some value to retro gamers that can appreciate the game mechanics these games hold. Even though the rosters are well out of date and the simulations of newer games are much more realistic, it doesn’t mean these older games aren’t worth playing. To start out or exploration of vintage sports game selections, we will explore Sega’s 16-bit library. Athletes and coaches got a TON of endorsement deals for games in the late 80’s to mid 90’s. You won’t see many of them on this list, but there were just as many games with individuals lending their name, as there were individual leagues. That’s just something you don’t see anymore. The variety of sports games available for the Genesis is impressive. Name a sport, and you’ll likely find at least one game on Sega’s 16-bit system that allows you to recreate it. Fewer risks are being taken with games these days. Sequels of established franchises are typically what you’ll see now across all genres. Genesis sports titles are a great example of the opposite approach, with several games that stray from the norm. Lastly, the Genesis may be blessed with the greatest collection of sports titles in videogame history. With that said, let’s take a look at the best sports games available for the Sega Genesis, split up by sport. You can’t go wrong with any of the EA Sports NHL titles on the Genesis, but ’94 is the clear benchmark. 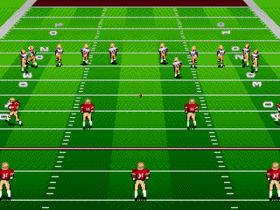 Yes, the later titles have the more modern frills of season modes, create-a-player options and the ability to update rosters, but the gameplay was at its peak with ’94. The game is fast, fun and was recently named the Greatest Sports Game of all-time for it’s incredibly fun gameplay. The hits are huge, including the ability to hit players into the benches, and the action is fast, but it’s probably best known for introducing the one-timer to hockey games. Being able to one-time pucks was a huge deal back then, and that’s likely where most of your goals will come from. As with most sports games released around this time, you can find “cheap goal” spots pretty easily, but if you can get up to three friends to play with you, the game becomes even more entertaining, especially if you start to control the goalies. The most underrated part of the game for me is the noticeable difference between regular and star players. EA was not afraid to hand out ratings in the mid 30’s for poor players, which really gives you a sense of who the best players on the ice are. Other underrated features of the game include glass breaking, authentic organ music for team arenas, record saving, hot/cold streaks and a more interactive crowd, including the crowd meter, which charted the decibel level of the audience. It says something when this version doesn’t even have a season mode, which would dramatically lengthen the experience, and people still prefer NHL ’94 over the rest, although the full seven-game playoff series option does help in the regard. Hell, people are still playing it online and the community at NHL94.com is as dedicated as can be, releasing roster and team updates for the current NHL season, as well as other years and eras. Don’t worry about this being the year they removed fighting from the game because it doesn’t matter. If there’s one sports game to pick up for the Genesis, this is it. EA’s other hockey title is based off the NHL engine, but the game couldn’t be any more different. All 23 teams are comprised of three types of mutants: skeletons, robots and trolls. Fans litter the ice with weapons, allowing you to destroy the opposing team. Killing enough players can lead to a forfeit. Dead players stay on the ice as obstacles until the intermissions, and you can also call specials plays leaving land mines and holes on the ice. Feel like sticking it to the other team even more? Just bribe the referee, or swap out your netminder for a special demon head goalie. Want to drop the gloves? Go ahead, but if you lose, you will get the additional penalty for losing the bout. There’s also a hockey game in here somewhere with solid gameplay and sound. There are so many interesting things to talk about here, and I’m planning on writing something extra for Racketboy, so stay tuned for that. 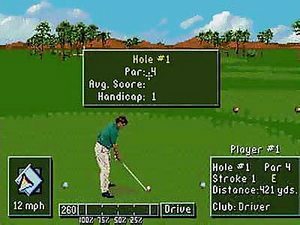 EA released PGA Tour games in three consecutive years from 1991-1993. The games never really changed much, but the third installment is the best one. The same standard gameplay from early 90’s golf games is present, with a power and accuracy meter that has you pressing the power button once to get the meter started, once for the power at the top, and once at the bottom for accuracy. The graphics and sound are pretty standard for the time period, but what sets this version apart are the options. Fifty-four golfers and eight courses is an incredible level of content, especially in 1993. You can even save replays of your shots. 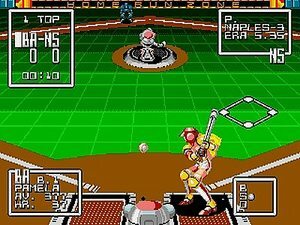 In terms of arcade baseball action, nothing on the Genesis tops Sports Talk Baseball. All major league teams and players from 1992 are fully licensed, but there unlike World Series Baseball, there are only three random stadiums. You use one button to pitch, hit, throw and dive/jump for balls in the field. The controls are as simple as can be, and the game moves fast. The gameplay is simply a lot of fun, and the players do play like their real-life counterparts in most aspects. Compared to other baseball games of the time, the increased speed and ease of gameplay is what makes it stand out. Modern sports commentary is necessary these days, but in 1992, it was great to hear a play-by-play man. You can also play a full season using the system’s battery backup. Also an arcade style game, Super Baseball 2020 takes us to the not-so distant (especially now) future. You’ll play with a combination of humans and robots, and while there are mixed reviews for the game online, SNK deserves a ton of credit for trying something new with this game. Land mines and power ups are vary the gameplay, and the rules of baseball have been changed with home runs only hit to center field, and no foul territory outside of behind home plate. There are also RPG-style leveling up elements to the game as well, which is completely unique. I still haven’t seen anything like Super Baseball since its release. It’s very loud and bright, and while the gameplay isn’t as smooth as Sports Talk, it’s still a blast to play. The quick playing Sports Talk Baseball series was replaced with World Series Baseball in 1994, and the two games are completely different. Revolutionary graphical style is littered throughout World Series Baseball, and while it’s a little sluggish in the gameplay department, such as waiting for the pitcher in between in pitch, it’s a lot of fun. The new behind-the-batter view gave you a real sense of being there in 1995, and it was very cool. Also, having a full 162 game season along with a draft element was something that we take for granted now, but a lot of other games didn’t have at the time. The controls are responsive and while I don’t think it’s as fun as Sports Talk, the feature set is more robust. RBI Baseball series: Love the animations in the series, but gameplay is a little rough. Get the 1994 version if you’re looking for something different. 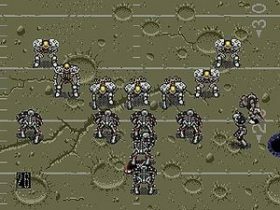 I mentioned Mutant League Hockey above, but the football version was released the year prior. 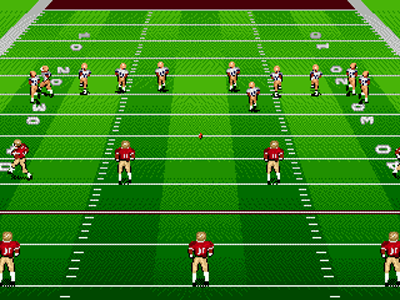 The game is built on the Madden engine, but only seven players are on the field, instead of the standard eleven. Sixteen teams are made up of aliens, robots, trolls and other forms of mutant. Blood and violence are the name of the game here, and you’ll see a lot of it. Special plays like sticking dynamite in the ball and killing the referee are just a couple of your many options to ratchet up the craziness. There were rumors of a reboot a few years ago, including a concept video done by EA developers. Let’s hope that there’s something to it. Probably the most underappreciated game on this list is Bill Walsh College Football ’95. They actually let you decide if you want to play a regular playoff system or a bowl season. Any game that openly mocks the ridiculous NCAA BCS is gold in my books, but there’s more to it than that. To the best of my knowledge, this game was the first, at least in the EA Football games, to remove the receiver passing windows. You can also run your own routes with those receivers if you don’t want to run the pre-planned ones. The playbook in this game is massive as well, probably because it’s the same spread out over each of the 36 teams. Presentation wise, the game looks good and sounds great, while the gameplay is built off the same core Madden engine. If you’re looking for a college experience, there’s no better option available for the period. 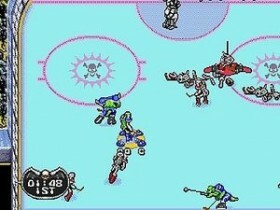 The undisputed king of sports games saw it’s home console debut on the Genesis and SNES in 1992. Outside of the 1996 version, you really can’t go wrong with any of them, but the 1997 iteration is probably the best one. Not quite sure what happened in that one year of development, but I digress. You know what you’re getting from Madden on the Genesis in the gameplay department, and it’s very smooth. Full season mode significantly lengthens the experience, and they introduced player fatigue as well, which obviously enhances the game in the area of realism. Throw in great graphics and solid audio from Pat Summerall and John Madden, and you probably have the best football game on the Genesis. The gameplay is really what sets it apart from other football games, and while the current generations of Madden get a little bit of flack, Madden is at its best on the Genesis. Jerry Glanville’s Pigskin Footbrawl: Craziness, weapons and violence make for a fun game with little depth. I’d suggest Mutant League Football for a much better overall experience. Tecmo Super Bowl: Another solid football game in the Genesis library, but the SNES version is widely considered the better game. NFL ’94: Racketboy’s personal favorite… maybe it’s just sentimental, but it was a well rounded game, but not without its flaws. Loved tearing up on the running game with Barry Sanders. What can you say about NBA Jam that hasn’t already been said? In terms of arcade sports titles, it was a pioneer and still plays better than most games available now as we approach it’s 20th anniversary. NBA Jam is fast, fun, 2-on-2 basketball with a full NBA & NBAPA license, that has become a major part of popular culture. The Tournament Edition was released an amazing two months after the original with updated rosters, including an extra player for each team, and the new all-Rookie team, which had five freshmen to choose from. At a time when arcade releases were a dime a dozen, NBA Jam stands out because of incredibly addicting gameplay, but having the NBA license is an obvious enhancement as well. Seeing real players put in over the top situations, soaring way high above the rim for an on-fire slam dunk is still great to watch and be a part of. If for some reason this game isn’t in your library, it’s a must buy. If you’re looking for a more simulation style game, NBA Live is your best bet. The game introduced a new overhead style camera angle for the inaugural year in the series. The gameplay is a little quicker than most simulation style games, but it just seems to fit. Standard season options are available throughout the series, while the original, NBA Live ’95, is widely considered the best version. Much like the rest of the Genesis sports library, Electronic Arts nailed it with the perfect combination of gameplay and graphics. Greatest Heavyweights is the sequel to 1992’s Evander Holyfield’s Real Deal Boxing, and while Real Deal seems to get more positive attention, Greatest Heavyweights is by far the superior game, in my opinion. The gameplay is much faster than the previous version, but it’s still very fluid and smooth. It’s one of those games that’s easy to play but hard to master, especially once you go toe-to-toe with the better boxers. 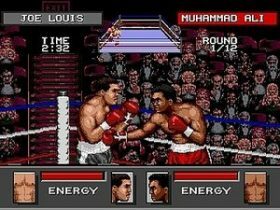 The game boasts eight of the greatest heavyweights of all time, including Muhammad Ali, Joe Louis and the aforementioned Holyfield. Other boxing games at the time simply didn’t have great rosters of fighters, but Greatest Heavyweights gave you eight legends. The career mode is where the game shines though, offering a bevy of options to customize and train your boxer as you attempt to climb the ladder against 30 fictional fighters and become the heavyweight champion. There is no better career mode available for the Genesis. As good as WWF Royal Rumble is for the Genesis, gamers with Sega’s console got screwed on the roster. 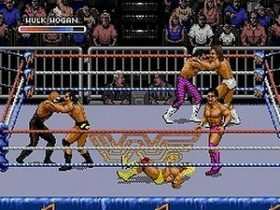 The Genesis and SNES each had seven similar grapplers, but look at the featured wrestlers in the SNES version on Wikipedia compared to the Genesis. Even with the worse roster, Royal Rumble is a blast to play. There are four modes of play: Single, Tag Team, Triple Tag Team and Royal Rumble. The gameplay has a tug of war style grapple system, essentially predicated on button mashing and overall wrestler health. Wear down your opponent enough and you can perform a finishing move. There isn’t a ton of depth here, but it really is a lot of fun. Audio is decent and the character models are pretty good for the period. WWF Super Wrestlemania & WWF Raw: Royal Rumble was released between these two games, and all three of them are very similar, with roster differences. Both are definitely worth a look. Wrestlemania: The Arcade Game: Midway developed this one, adding weird character traits, such as the Undertaker casting spirits at opponents. If you like your wrestling a little wacky, give this one a chance. As you can tell from making it this far in the article, EA definitely had the sports game market cornered in the early to mid 90’s. With over 200 teams with eight international cups to compete for, there’s a lot of content here, especially with a full season mode complete with great stats tracking. Gameplay is faster than the original, allowing you to get a better overall feel for the pace that soccer is played at at the top levels. Nice graphics and sound are present throughout the game, and the animations are top notch. You can’t go wrong with the other options in the series, but ‘95 is the best of the lot. As with FIFA games of today, the amount of content is staggering, which really sets it apart from other available options. Sensible Soccer: Nothing against Sensible Soccer, as this and FIFA are typically considered the best on the system. 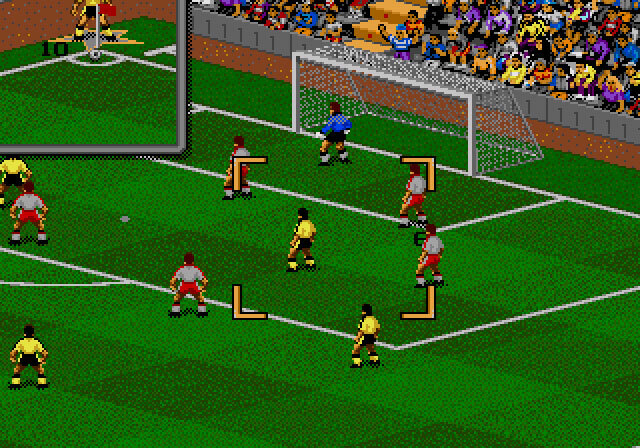 I just prefer FIFA to Sensible Soccer due to better graphics and sound, but SS is a nice playing arcade version of the world’s most popular game. 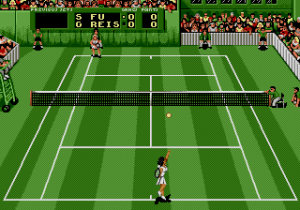 Pete Sampras Tennis is another game in the list of highly underrated Genesis sports titles. The game looks great and handles just like most tennis games of the time period, with the three face buttons controlling lobs, normal shots and top spins. Sampras is the only real tennis player in the game, but there are many fictional opponents to play against on three standard courts: Clay, Grass and Hard Court. You have five game modes to play through, but the length of the game is a little on the short side due to relatively easy AI. Davis Cup World Tour: Great controls and it looks good, but it’s a very difficult game to play against tough/cheap AI. David Crane’s Amazing Tennis: Innovative camera angle for its time, but it’s not the easiest game to play, especially if you’re in the far court. Speedball 2: Fast-paced, violent futuristic handball is the best way to describe it. Two teams of nine guys try to score goals with a steel ball. No rules and fun gameplay make it an enjoyable experience. Brian Lara Cricket: Not much to say here. If you’re a cricket fan, this is one of the few options available on any console. The game’s a little light on sound, but it looks good. Minnesota Fats Pool Legend: Solid graphics for a pool game, which doesn’t really mean a lot, but there’s a good experience here, especially when you get into the fun trick shot mode. Championship Pool: Nine different gameplay modes make this potentially the longest lasting billiards game around. Austrailian Rugby League: Another EA title. Rugby isn’t overly popular in North America, but much like cricket, there really isn’t a lot of other games available. Pick it up if you’re a fan of the sport. Side Pocket: For my money, the best pool game available on the Genesis. Great single player mode along with fun multiplayer and a solid sountrack. Tiny Toon Adventures: ACME All-Stars: Primarily soccer and basketball with other mini games available. The big hook is obviously the Tiny Toon cast, but the game is much better with a group of friends instead of a stand-alone experience. Jeopardy: Sports Edition: Over 3,000 questions based on all kinds of sports, but obviously they’ll be a little dated now. That is impossible. The SNES came out in 1991. 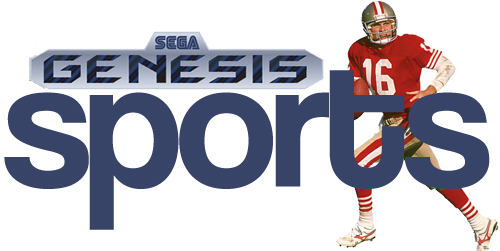 The Genesis was the ONLY home console with a Madden until the ’93 edition (released in 1992). You were off by two years/two instalments. Sad that there was no mention of Mario Lemieux Hockey. Lots of other hockey games are missing, too, but I think Lemieux is a stunning absence considering that it was the only hockey game on the system for a while and offers a very different experience from the NHL series. Lol. 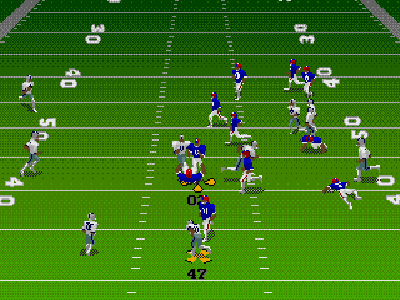 Have you figured out in the last 6 years that SNES got a port of John Madden Football in 91? Dude use Google before you go blasting people. They did miss out on madden 92. That’s it. Tecmo Baseball and Tecmo Baskeball are also some of my favorites.. also unlike the EA sports games, they were actually better on the SNES. Yes, 1995 was the year EA got rid of the passing windows for both Madden and Bill Walsh. It was definitely cool that the Bill Walsh series always had an end of season tournament (was optional – you could always just go with bowl games too). Of course the BCS wasn’t implemented until 1999 but there was a lot of protest at the time around polls and the whole Rose Bowl obligations which made the Bill Walsh series unique with the bracket at the end of the season. The recent Operation Sports tournament had MVP Baseball ’05 winning. I think NHL ’94 made the final eight. Which article are you citing here? @Breetai: Apologies for the error with the Madden timeline. That will be corrected. You are correct in that more hockey games probably could have been listed. I played Mario Lemieux Hockey quite a bit back then as well, and it was pretty fun. @Mike: You’re right. The EA Sports titles always played better on the Genesis, without question. @sneschalmers: Thanks for the compliments. @Mr. Retro Sports: I’m up in Canada, and one of our national sports networks did a bracket tournament as well just before OS did their version this year. I know that OS has done them in the past as well. When I sent my piece in, there was a link to that tournament as well, but that may have been lost in the posting process. ^ Cool – can you post the link here? I’d be interested in reading it (kind of my thing). What system was Blades of Steel for? I loved that hockey game. What system was Blades of Steel for? I loved that game was that NIntendo? But the EA hockey was definately my favorite of all time. Actually just off by one year. The original John Madden Football did come out in the fall of 1991 for the SNES. NBA Live ’96 is considered the best version. The engine was refined from its debut in ’95, patching up minor glitches and AI issues. 96 also had the ability to create players – and EA hid guys like Michael Jordan and Charles Barkley (along with many legends) in there (for licensing reasons) and if you typed their name in, their template automatically filled in with true ratings and stats. They also got around not having rookies (because they hadn’t signed contracts when the game was finalized in the summer) by putting their templates in the create-a-player area. NBA Live 96 IS the best version of the Live series during the 16-bit era (as commented above by Mr. Retro Sports) the NBA Live 97, 98 edition was more like …i’ve updated the roster, give me your money! lol. Right – by ’97 and ’98 , the core team had moved on to developing the PlayStation and other next-gen system games. Hey guys, appreciate the feedback. Both games are definitely solid, without question. Maybe I’m nitpicking, but I’m not a fan of the audio in ’96. When I was doing some research for that particular section, I read some people talking about framerate hiccups and AI issues as well. I’m assuming that part of it as well was that I played an unhealthy amount of ’95 when I was growing up. Perhaps it clouded my judgment, but both games are exceedingly fun without question. Could be that that japanese dodgeball game earned to be on this list. Its called Dodge Danpei or Kuy Kid or Honoo no Toukyuuji. Ad Super Volley is a classic. And California Games is a classic. And Skitchin… is a sport? There is a distinct lack of racing games. The best soccer game is not FIFA ’95 but International Superstar Soccer Deluxe by Konami!!!! the best football game ever still has to be super soccer on the snes. you could bend the ball’s trajectory at will and really control the goalkeeper, actually dive to get the saves or deflect the ball, gave the game a whole different strategic dimension, which made it so great. surprisingly all these years later neither of those things has been done on any other game to my knowledge, certainly not on fifa or pro evolution. both those series are basically a joke and a demonstration of the lack of respect and disdain the publishers have for those who buy their products. both are the same game they have been for over 15 years with slight roster updates that are dated by the time the games come out, and not even graphical upgrades anymore. fifa for example has the same graphic engine it had in 2009, maybe even longer than that. not bad games, but certainly undeserving of the praise and AAA ratings they get (in fifa’s case anyway) year after year. worldwide soccer was pretty sweet back in the day, more similar in style to pro evolution. i think sega could make a good buck if they made it a good enough series to at least compete with fifa and get some good money out of it, especially since pro evo has lost most of its steam, at least for a couple of years when the good people at EA would be forced to update their dated game to become as good as their competitors. There was also this soccer game I don’t know the name of but it also had volleyball I think included with it as well. One of the most fun sports games I played on Genesis. You would kick the ball and depending on how hard you kicked it or spiked the volleyball it would change shape for super kicks. I really wish I knew the name of that game!!! What about ATP Tour Championship Tennis? Killer game.